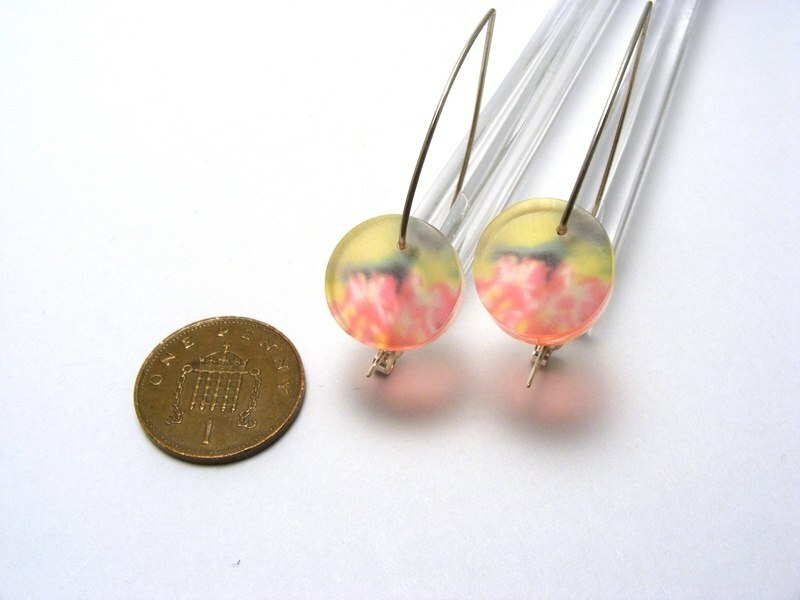 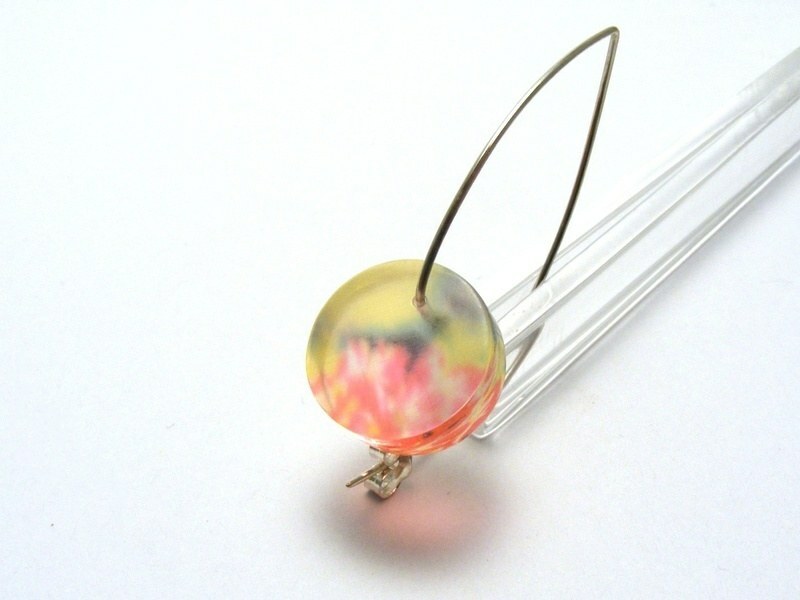 Hand made acrylic earrings featuring image of pink allium with green background. 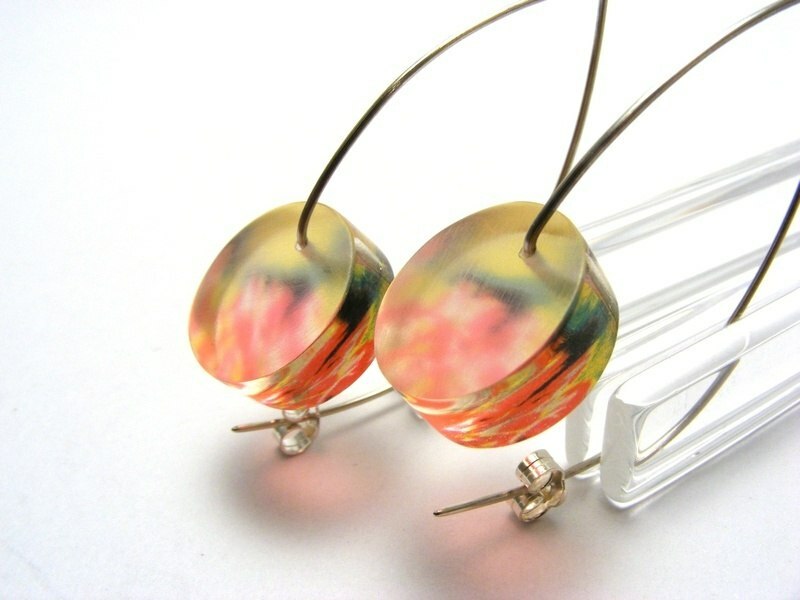 Image printed onto back of earring. 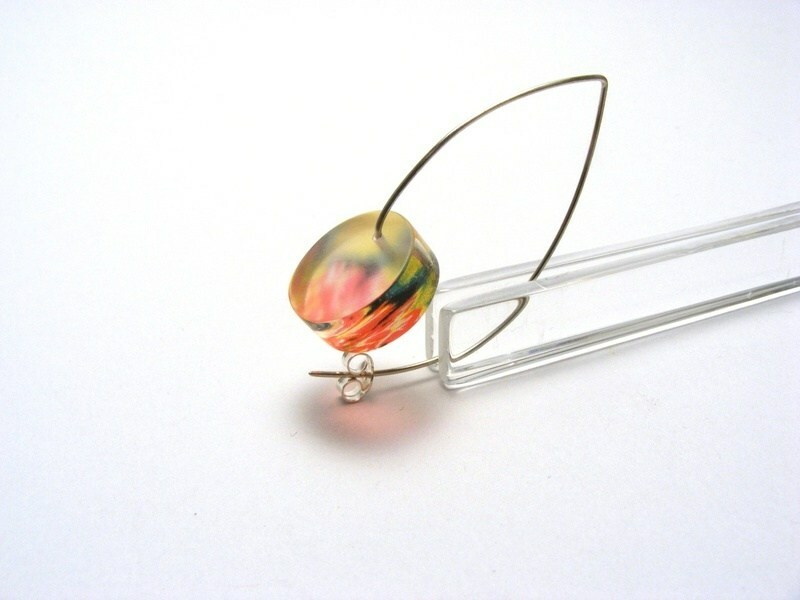 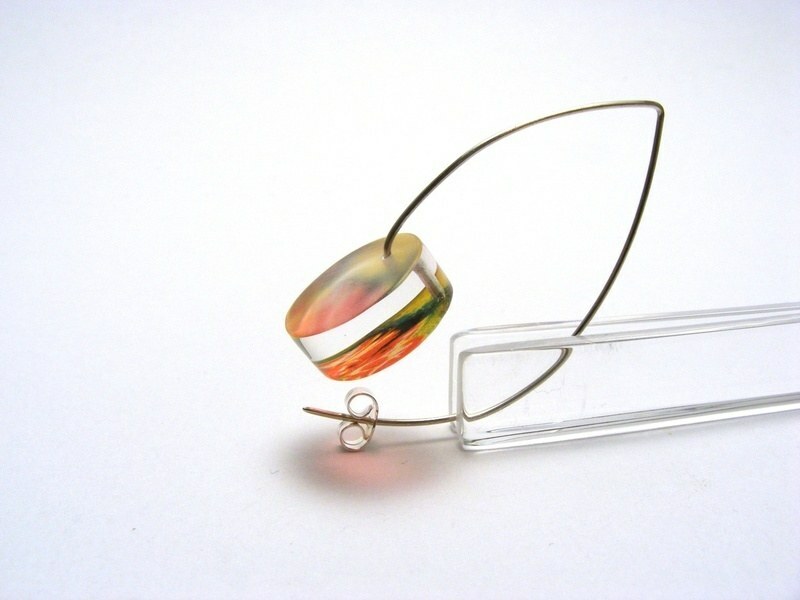 Earrings have matt surface and polished edges, causes image to distort and refract. 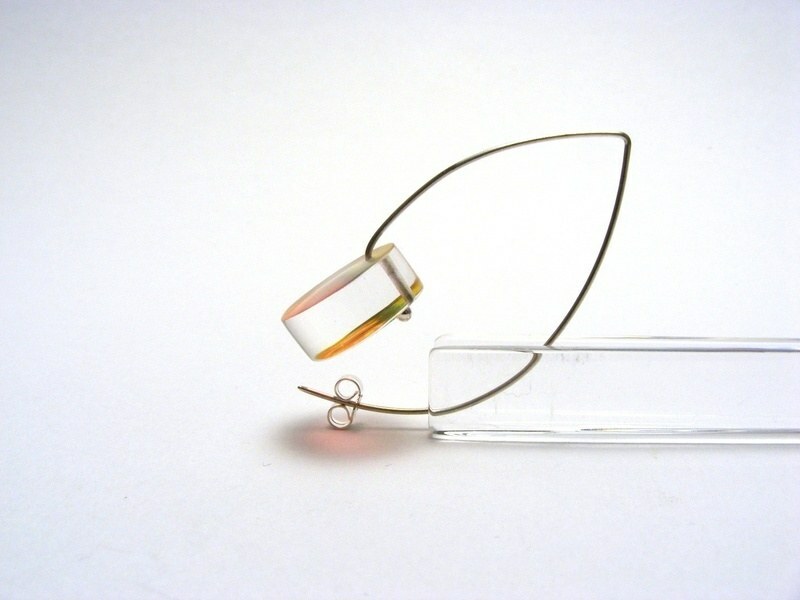 Silver hand made wire fixings complete with sterling silver butterfly.